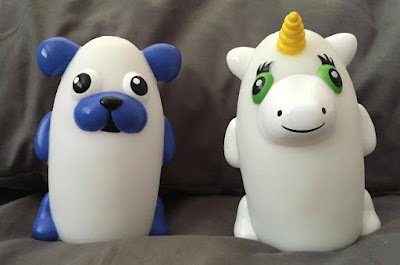 Sweet Cheeks Adventures: Take your Buddy with you: Bright Time Buddies! 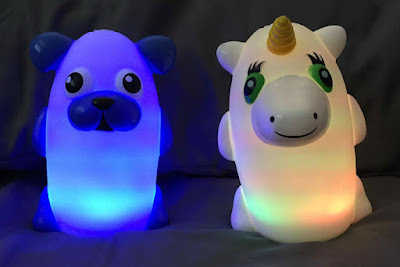 Take your Buddy with you: Bright Time Buddies! One of the cutest toys this holiday season has got to be the Bright Time Buddies. These Buddies work great for both of my kids. Sleeping with a light on is something I do as an adult, so I have sympathy when the children say they want a light on. Of course we don't want the light going all night long, so why not give them something to cuddle with while the light is on? Bright Time Buddies are The night light you can take with you! They're perfect to sleep with or to add to playtime! Available in a dog, unicorn, a lady bug and many more fun characters! I have had the pleasure of playing with the dog and unicorn. They're easy to turn on and will stay on for an hour without pressing the button again. After that hour though, lights out! This is ample time for a child to fall asleep, so it works great! What's even better is if your Little has to get up in the middle of the night to use the bathroom, they can take their Bright Time Buddy with them. No more hurting your eyes when the light turns on! 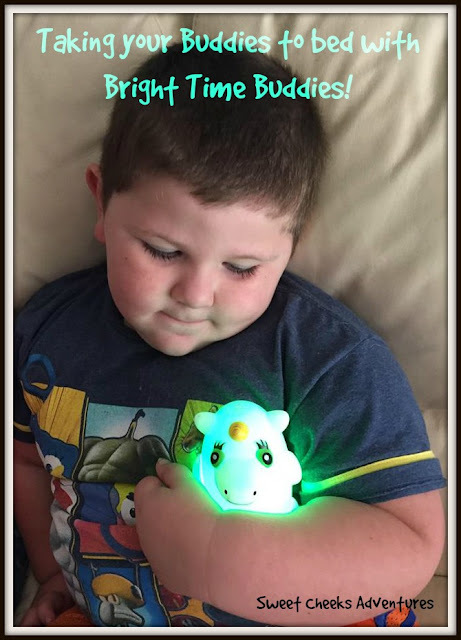 Pick up your Bright Time Buddies at your local Walmart, Kmart, CVS, Toys R Us, or Target! Your Littles will thank you! How adorable are these! I love the Unicorn. These are so cool, and Cooper is an absolute doll!